MUFE recently launched their Pro Finish Multi-Use Powder Foundation, and I had the chance to give this a try! Again, I'm a little slow to post, but this one is definitely worth waiting for. Remember how in a previous post I mentioned that if you wanted to know what foundation I was wearing, I would blog about it soon? Well, now you know! 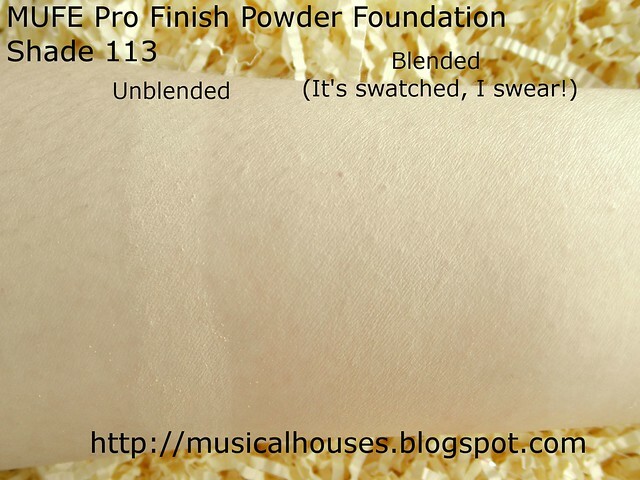 MUFE Pro Finish Powder Foundation: MUFE's latest foundation, and an excellent product. The MUFE Pro Finish Powder Foundation provides high coverage with a non-cakey, smooth finish, and a great formula that is right on, as with most of MUFE's products. You can really tell when a brand spends the time and effort to perfect its products before launching, rather than just jumping onto every trend-based product bandwagon every three months, or slavishly copying its nearest competitor, and from the looks of it, MUFE's Pro Finish Foundation has definitely been formulated with care. 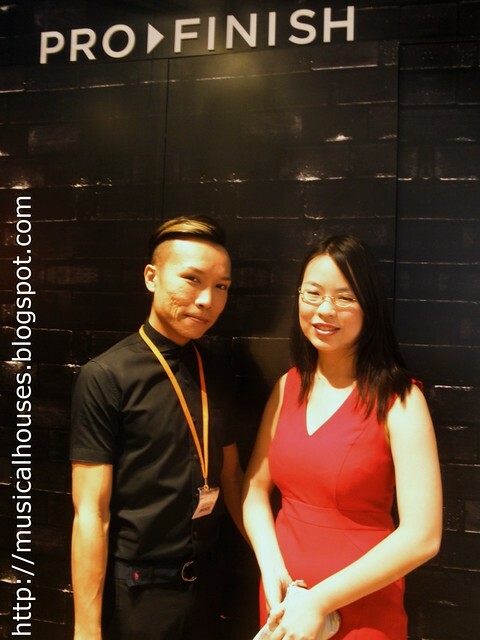 Ever the perfectionist, MUFE founder Dany Sanz spent six years (yes, six!) developing the foundation, in order to arrive at the best possible formula that would work on all skin types. Perhaps, as a result of the fact that this foundation took six years to perfect, I have to say, I have absolutely no complaints at all. From the colour match, to the formula, to the coverage, to the finish - while I can sometimes be pretty critical, right now I only have good things to say! One of the things I love about the Pro Finish Powder is the colour match. There are 25 shades covering the three main undertones (warm, cool, neutral), so you'll be able to get the perfect match for sure - I've yet to get a 100% perfect match in any foundation I've tried, and although there are ways to make a less-than-perfect-but-close-enough shade work, I was thrilled to find a perfect match in shade 113 (that's the lightest neutral undertone shade). At first I thought I would be taking a darker shade, but as it turned out, 113 was absolutely perfect! The makeup artist at the demonstration helped me narrow the choices down to two shades, 110 and 113, but I felt that 110 (the lightest cool-toned shade) was a wee bit too pink for me, so I went with 113. MUFE Pro Finish Powder Foundation: Great texture and a wide range of colours means you'll find a good match! In fact, just to see how awesome a match this is, you can take a look at the swatches below. For the swatches below, I did use more product than you would actually use when applying foundation, but because the colour match is so perfect, and because the finish is pretty fine, you really can't see it, especially with the blended swatches. You'l have to look at the "unblended" swatches to really see a demarcation between skin and foundation. The texture of this foundation is quite nice and smooth - it does have silica as one of the main ingredients (also the ingredient in MUFE's HD Powder, which is another of my must-have staples), which helps with oil control and a good texture on the ski. MUFE Pro Finish Foundation swatches: I did pile up the product for these swatches, but you can't really tell that it's there! In my experience, with the Pro Finish Powder Foundation it really pays to take your time to choose the right shade for you. Often, you may find that with 25 shades, there are actually a couple that may be very similar, and you could go with either. In my case, I was matched to both 110 and 113. Although 110 is a pink-toned beige, the pink undertones are not garish and obvious, which could explain why I was matched to it. In the end, because I don't really like pink undertones in my foundations, I opted for the more neutral 113 instead. So you might find yourself trying to decide between two shades, too, and if you do find yourself doing this, it's best to check how both shades blend into your jawline in natural light. For my Asian readers, I was told by the lovely PR people that shades 117, 120, 125 are most popular in Asia, while 174 and 175 were more popular among Asians with darker skins. So if you're daunted by the range of shades at the counter and don't know where to begin looking, these shades could serve as a starting point. MUFE Pro Finish Foundation: Finally I have a foundation match! Glorious day! As you can see from the FOTD (Face of the Day) above, I think this is a great colour match, with a great finish! I'm wearing shade 113. I wore this to test for a day at work without a primer, and I found that it held up pretty well, unless I rubbed excessively. Even without a primer, it seems to handle light transfer issues (light rubbing, or your face coming into contact with other things) as well as some oiliness and sweating. Of course, if you're looking for stronger wear, a primer will give you much better results. Since I work in a mostly air-conditioned environment, I was quite happy using this over my usual sunscreen and moisturizer. 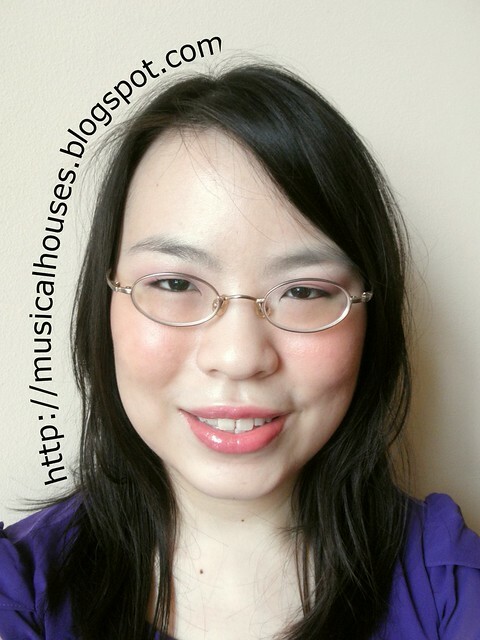 In the photo above, I used a flat-top natural hair brush (the Stila #21) to get medium coverage (and on a side note, I have to say, application becomes so, so much easier when you have a perfect colour match!). You can also apply it with a kabuki brush, if you wish, for lighter coverage as well. For greater coverage, you can apply it wet, or if not, apply the foundation using dabbing motions with a sponge. The latter method helps you build up coverage over a large surface area very quickly. When this was demonstrated on me, they managed to cover most of my (very horrible) pimples just using the sponge method - no concealer! You can see the results of the demo below. In the demo below, I'm actually wearing shade 110. I know the indoors lighting isn't the best, but you can tell that there isn't a great big colour gap between my face and neck. 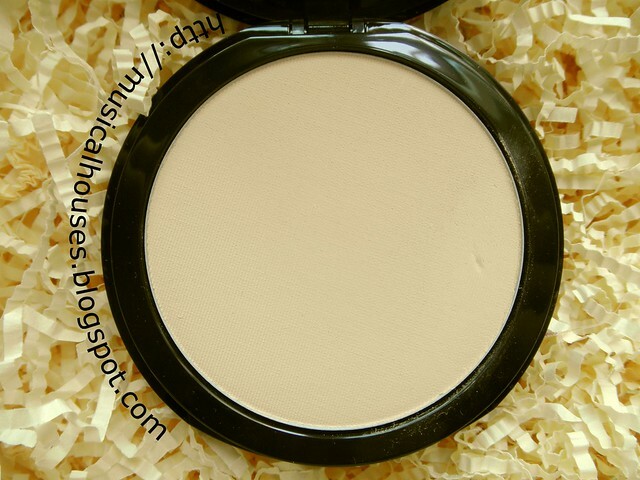 MUFE Pro Finish Powder Foundation: Look ma, no blemishes! For greater coverage, dab with a sponge. My final verdict on the MUFE Pro Finish Powder Foundation is that it's great. The shade match is impeccable, the texture is great, and I like that the addition of silica powder into the formula boosts its oil-control properties a little. I'm also impressed by the various ways the foundation worked with varying application - it seemed to work nicely with the high-coverage sponge, as well as with my lighter touch with a brush. I'm going to go out on a limb with this, and say that I think this is probably one of my favourite powder foundations I've tried to date. If you're interested in this, I think it's worth checking out - just be sure to play with the testers at the counter first so that you find the best shade for you. I was matched to 117 and it matches me perfectly. I use this everyday to set my foundation now. I really love this compact too. I've never tried any MUFE products before. This sounds pretty good though. I'll check it out. Thanks for the review!